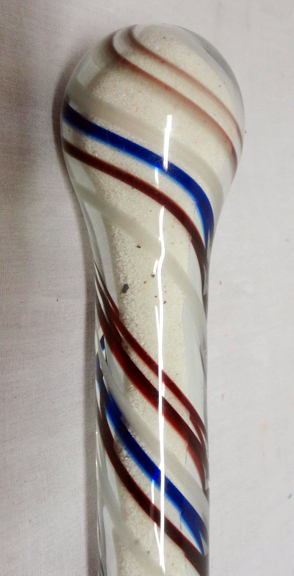 made by glassworkers after hours. Since early days, the technical aspects of making and manipulating hot glass have remained a closed and secretive business. Down through the ages, those with inside knowledge of this art have been highly valued and highly sought after. Even with the circulation of technical manuscripts and the ultimate publication of the technology in Antonio Neri’s 1612 book L’Arte Vetraria. The beating heart of the craft remained at the furnace among those with hands-on experience. These artisans could and often did make the difference between success and failure in a business that was notorious for sending substantial fortunes up in smoke. In some places, strict laws forbade glass workers from leaving their employ and forbade outsiders from attempts to lure them away. Recruiting seasoned talent could be a delicate if not clandestine undertaking. This was as true in the ancient world as it was through the Renaissance and it also played a significant role in the 18th and 19th century for the nascent American glass industry. 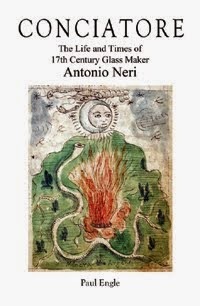 Many have heard of the legendary prohibition forbidding Renaissance Venetian glass workers from travel abroad. The fear was that they might divulge secrets of their craft to outsiders, thereby compromising the virtual monopoly on high quality luxury glassware made on the fabled island of Murano. Many also have heard that the penalty for violating these rules was death at the public gallows located between the columns at Saint Mark's square. While there were laws on the books that listed possible penalties as severe as death, the records show that no glass worker was ever executed for leaving and many did leave. In fact, glass workers were sometimes part of state brokered deals to exchange technology. Early American efforts to recruit experienced glass workers provide some amusing stories. In 1894, William G. Harding, a principal in the Berkshire Glass Works in Massachusetts wrote a detailed history of glassmaking in the region. Harding’s research was meticulous, drawn from factory records, official legal filings and personal correspondence. Two stories in particular relate the great lengths pursued in recruiting experienced European glass workers to New England. The other story of clandestine recruiting related by Harding concerns a venture started in Sand Lake, about 10 miles east of Albany, New York around 1806. Antonio Neri, L’Arte vetraria, distinta in libri sette, del R.[everendo] P.[rete/ padre] Antonio Neri fiorentino. Ne quali si scoprono, effetti maravigliosi, & insegnano segreti bellissimi, del vetro nel fuoco & altre cose curiose. All’Illvst.mo et eccell.mo Sig., Il Sig, Don Antonio Medici (Florence: Giunti 1612). A daugher of a glassmaker could marry into the nobility, which was a great honour for a family, but strategically, the son of a glassmaker had no such privilege, meaning that there were no inheritance rights for the family. Note that Robert Hews is also known as 'Hewes' in other sources.